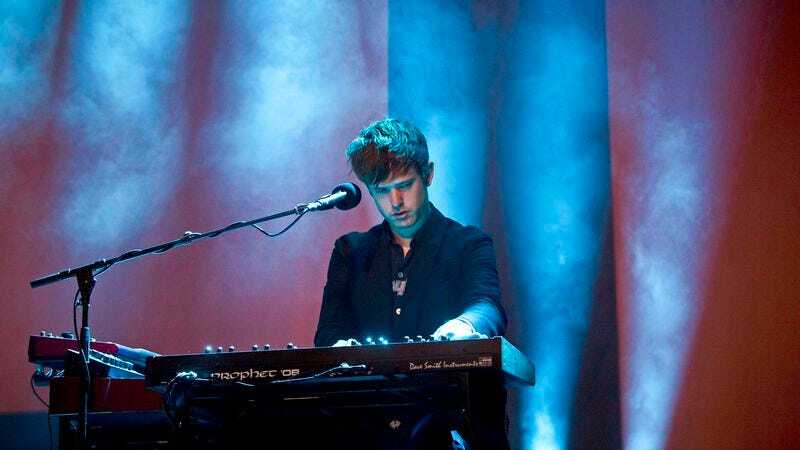 Musician, Mercury Prize winner, and still-not-James-Blunt James Blake has announced his latest album, the upcoming The Colour In Anything. And by “upcoming,” we mean, “right the hell now,” because Blake has taken a trick from his collaborator Beyoncé’s bag—presumably reaching past a bottle of hot sauce in the process—and is releasing the album just hours after it was announced. Featuring contributions from Bon Iver, Frank Ocean, and Rick Rubin, the album is available right now on iTunes and Spotify. For those just looking to sample Blake’s latest collection of dreamy, electronic compositions, he’s also posted three of the songs from Colour on YouTube.